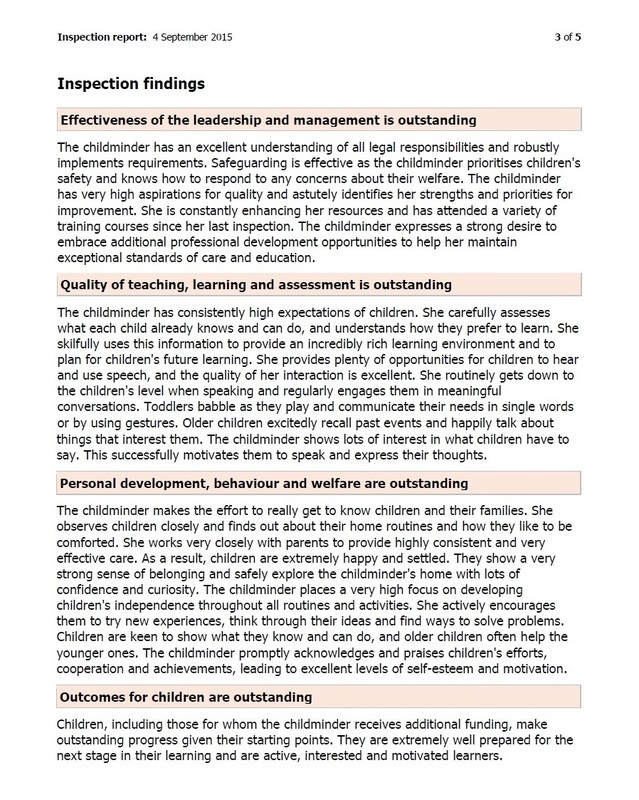 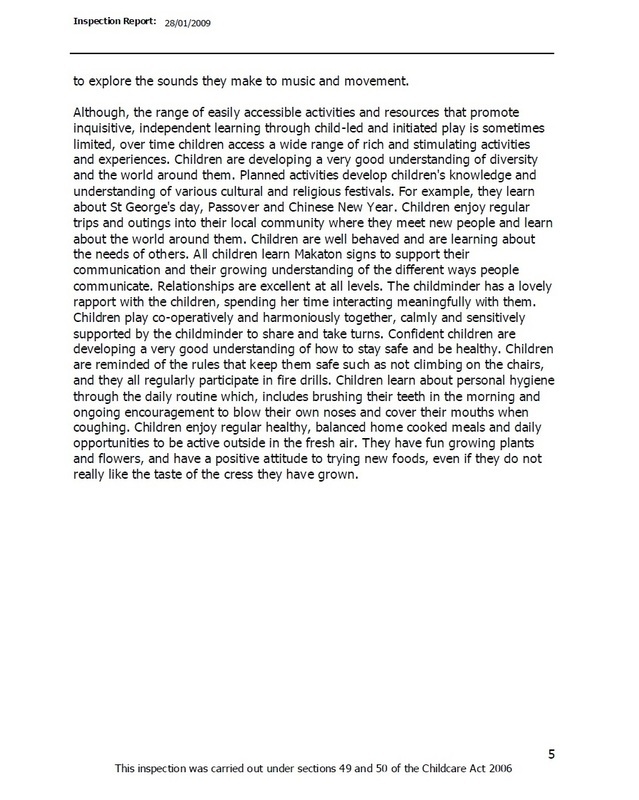 This is my latest Ofsted inspection report. 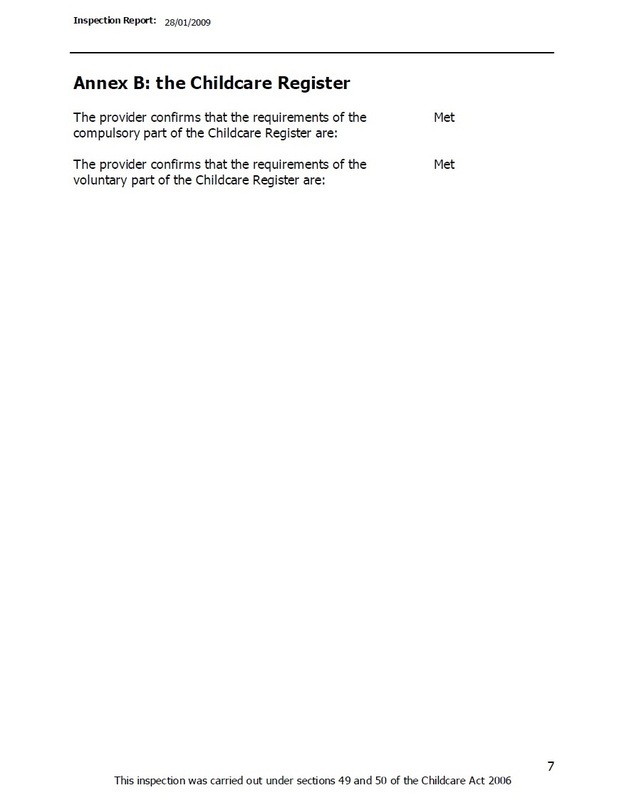 My inspection date was 04/09/2015. 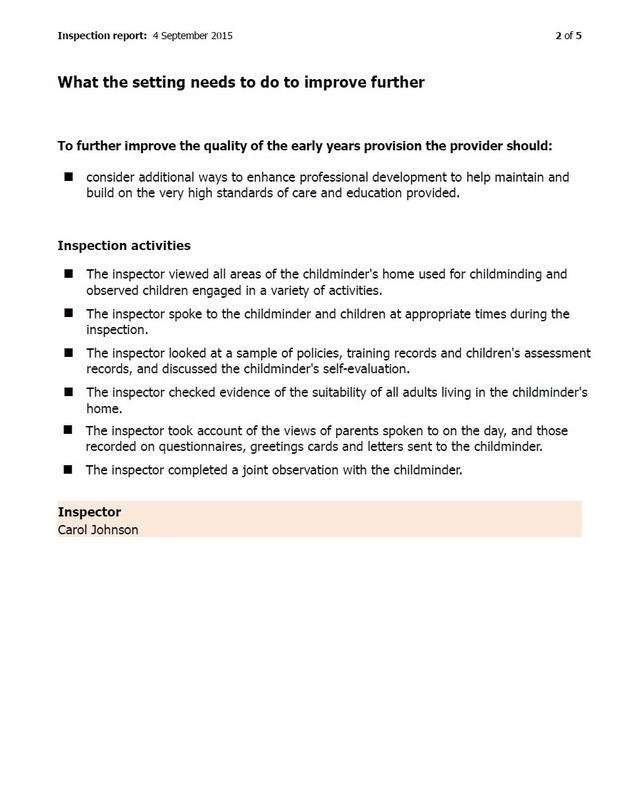 To view a larger print copy of my latest inspection report you can download a pdf copy here. 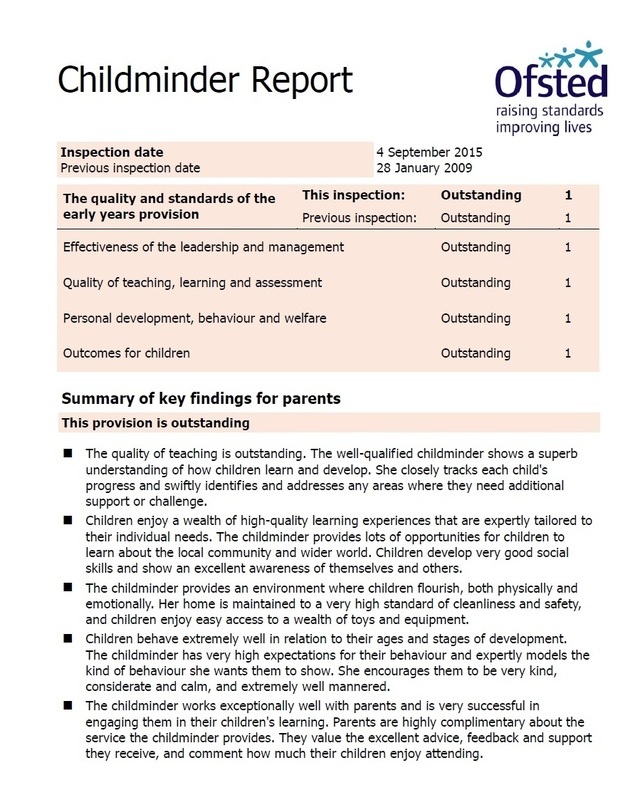 This is my previous Ofsted inspection report. 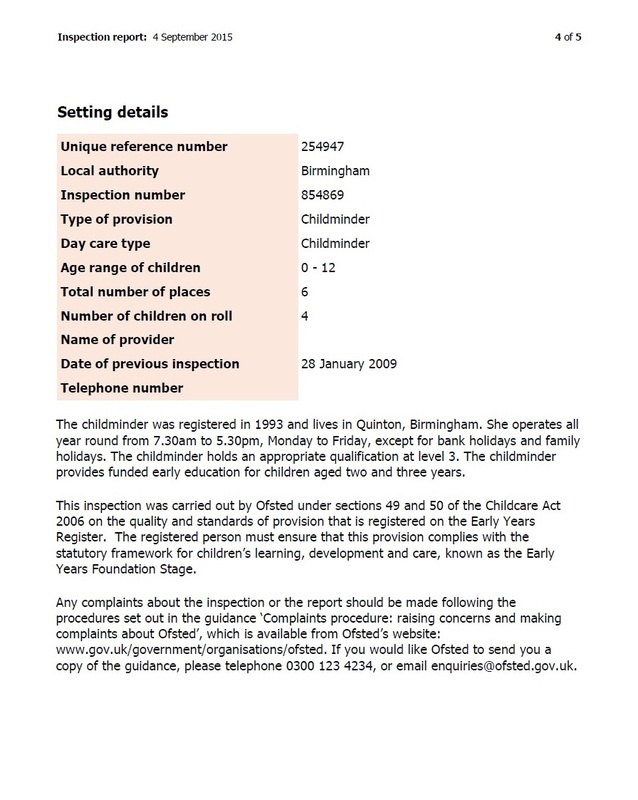 My inspection date was 28/01/2009. 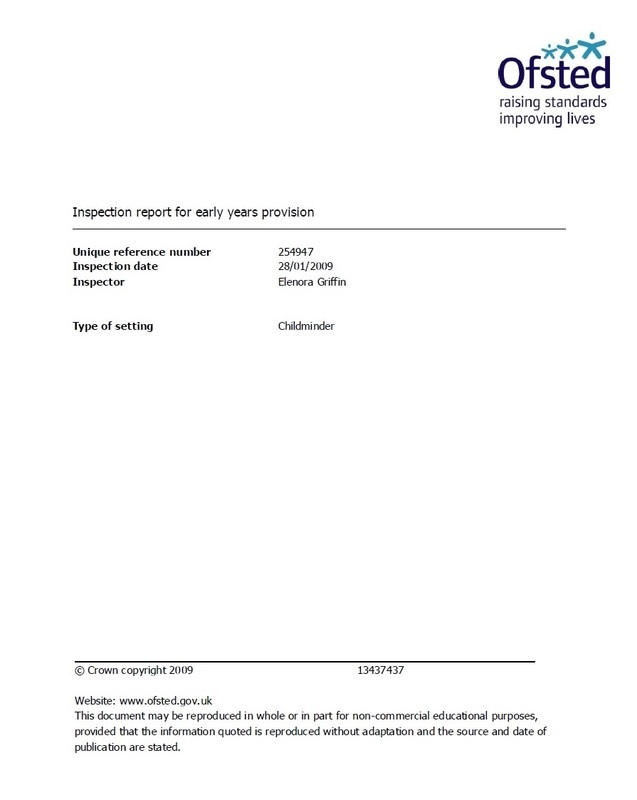 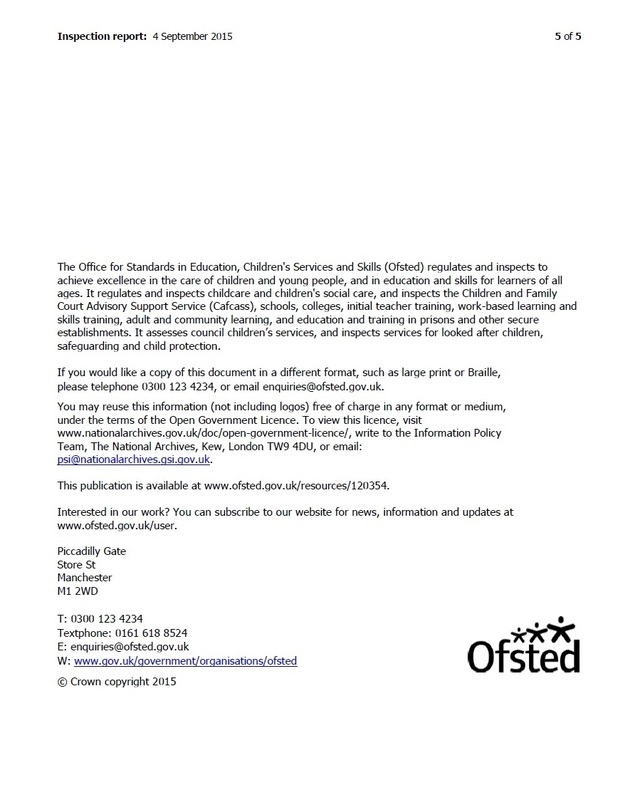 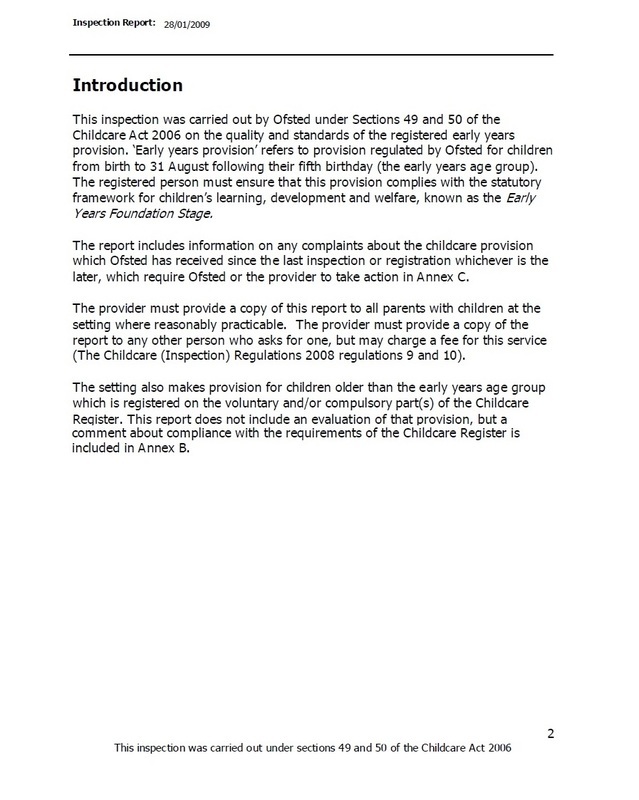 To view a larger print copy of my previous inspection report you can download a pdf copy here.